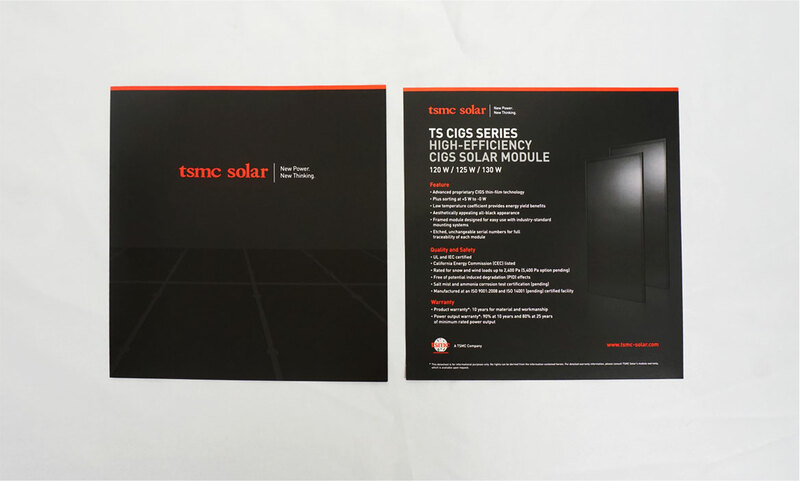 TSMC Solar | Quality, and high-performance solar energy modules. TSMC Solar is a wholly owned subsidiary of TSMC the world’s first and largest semiconductor foundry. TSMC Solar possesses the technical expertise, professionalism, financial strength and customer service orientation required to address the growing demands of the solar energy industry in a new way with reliable customer service combined with quality, and high-performance modules. TSMC Solar came to dystrick to rebrand themselves as the leader in Solar Panel Technology. We started with a simplified new logo, and introduced their corporate colors and brand imagery into their new marketing needs which included two custom trade show booths, an interactive tablet app for use at their trade shows, and marketing collaterals for their products and offerings. For more information, please contact us. 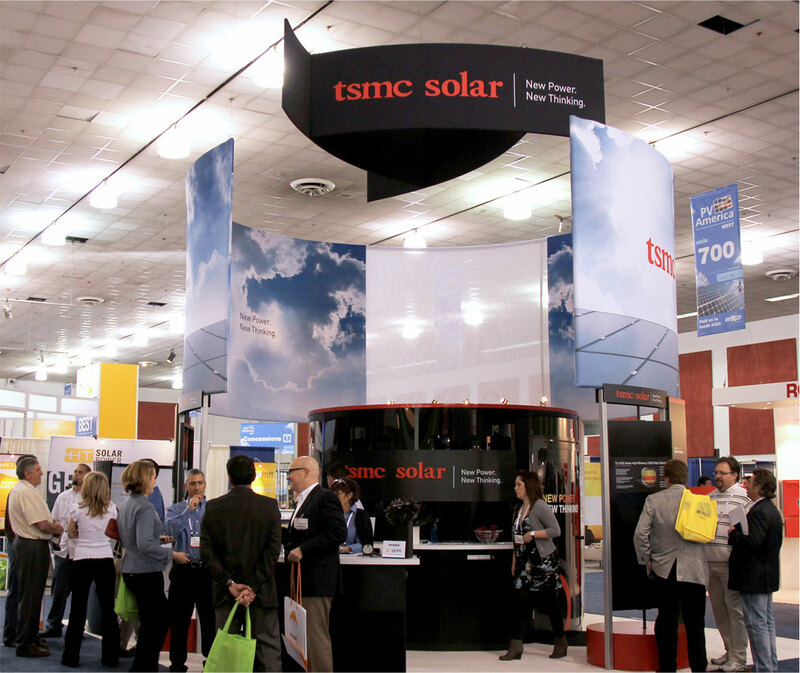 A custom trade show booth and exhibit to help TSMC Solar to stand out from the busy crowd. 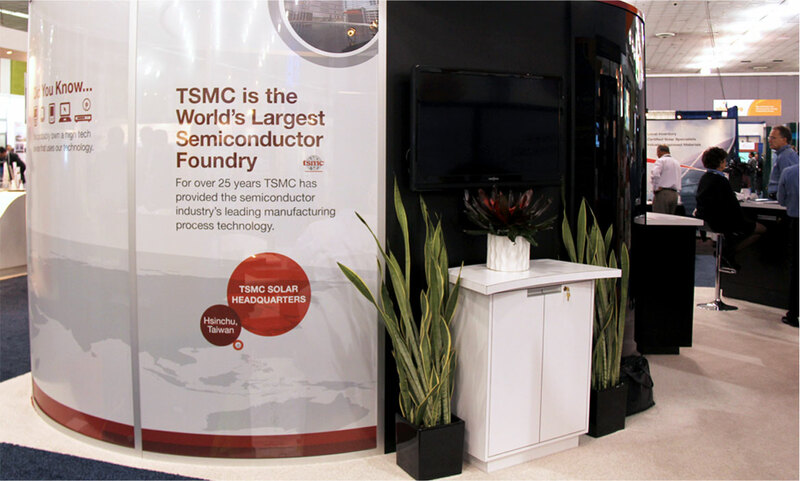 TSMC Solar logo and wall graphics surround the executive meeting room within the booth. One of the value propositions TSMC Solar has is production might and financial support of TSMC Semiconductor. 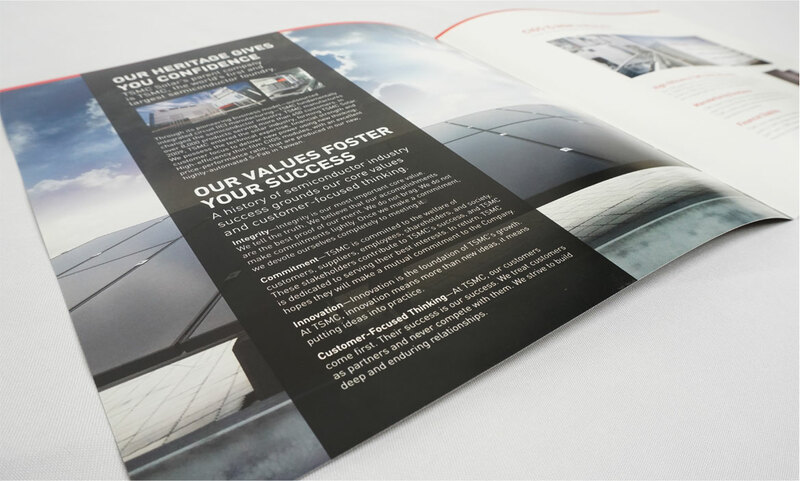 Custom designed marketing collateral, product specification sheet and brochure.